I never knew I could enjoy reading a book on a horse, or animals! After all, I am an African woman, and it is no secret that we generally hardly care about animals, (which is different from mistreating them). But this book is so powerfully and convincingly written that I even began to wonder whether the horse(s) actually wrote this book!? I guess I am lucky to have read this book as an adult now with my own kids; if I had read this as a youngster I am sure I’d have sworn the animals were telling us about their own lives, and perspective. The author has a great deal of love and empathy for horses. I understand she never had any children of her own at the time. But what a book she has left for posterity. 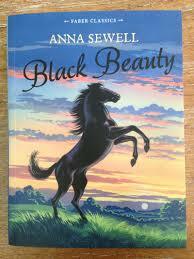 A very famous book on an animal (horse). I read a very shortened version whilst young. A classic work, for many years now. PAYING TRIBUTE TO AN ACADEMIC COLOSSUS!